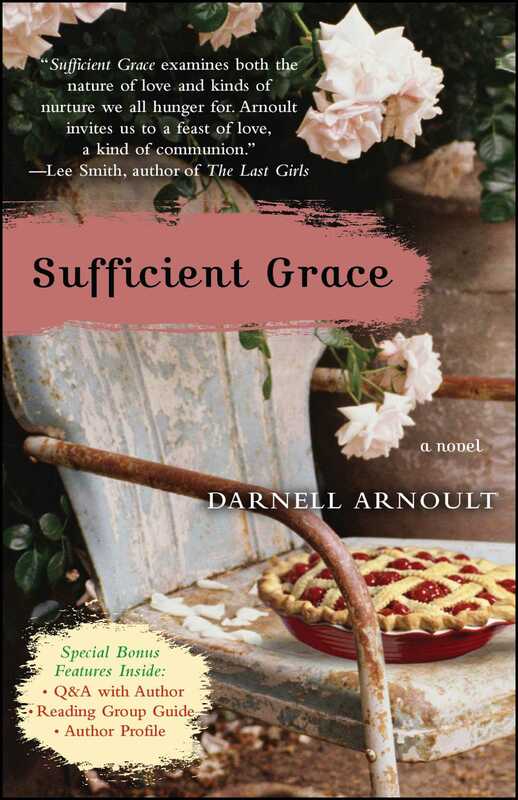 Set against the backdrop of two neighboring Southern towns, Sufficient Grace is the powerful, affecting story of two families over the course of a year, from one Easter season to the next. One quiet spring day, Gracie Hollaman hears voices in her head that tell her to get in her car and leave her entire life behind -- her home, her husband, her daughter, her very identity. Gracie's subsequent journey releases her genius for painting and effects profound changes in the lives of everyone around her. A spellbinding work, Sufficient Grace explores the power of personal transformation and redemption, and the many ordinary and extraordinary ways they come to pass through faith, love, motherhood, art, even food. This poignant, poetic study of the human condition affirms the enduring importance of relationships and the strength we derive from them, even though we sometimes have to leave behind an old identity in order to discover our soul. Beautifully paced, filled with unforgettable characters, Sufficient Grace reveals the vital place that spirit and belonging have in every inner life -- and in the everyday world. One quiet spring day, Gracie Hollaman hears voices in her head that tell her to get in her car and leave her entire life behind -- her home, her husband, her daughter, her very identity. Gracie's subsequent journey will effect profound changes in the lives of everyone around her. Ultimately, her quest leads her into the home of Mama Toot and Mattie, two strong, accomplished women going through life changes of their own. As the bonds between these women grow stronger and the family Gracie left behind comes to terms with their loss, both worlds slowly and inevitably collide. 1. How would you characterize the voices that Gracie Hollaman hears as she prepares to leave her home forever? What do these voices suggest about Gracie's mental state, and in what ways do they connect to a religious framework? 2. "People say men have midlife crises, but it's the women." Why does Ed Hollaman initially interpret Gracie's disappearance as her abandonment of him? What does his reaction to her absence suggest about the nature of their marriage and their feelings for each another? 3. When Mattie Riley discovers Gracie Hollaman lying on Arty's grave, why does she see it as some kind of divine signal? How does Mattie's grief over her husband's untimely death affect her decision to take Gracie into her home? 4. How does Gracie's disappearance from their home improve Ed's life? What changes in his character and day-to-day existence seem especially dramatic or interesting? Given the uncertain circumstances of his marriage, to what extent are his feelings for Parva Wilson understandable? 5. In what ways is Mama Toot the "glue" that holds her family together? What explains Toot's delay in recognizing "Rachel" as the grown-up little girl, Gracie, whom she took care of so many years before? How does she make sense of Gracie's reappearance in her life? 6. How would you describe Ginger's reaction to her mother's schizophrenia? Why do you think that she fears for her own mental instability? What do you think of her boyfriend, Wally, and the prospects for their relationship? 7. In what ways do the characters experience the presence of Arty in the novel? Do you think he is really present? Why or why not? 8. Do you feel Mattie must choose between her grief over Arty's death and her burgeoning feelings for Noris Dibner? Why or why not? Why do you think the author chose to conclude the novel before Mattie reaches closure with Arty's death and fully embraces her romantic interest in Norvis? 9. Why are Ed Hollman and Mama Toot content with Gracie's desire to change her name to Rachel, divorce Ed, and return to live with the Riley family? How does Gracie's decision have an impact on both families? 10. Besides the close look at Ed and Gracie's relationship, in what other ways does the novel seem to address the idea of love and marriage? 11. How does the novel explore the concept of mothering? What about mother/daughter relationships in particular? What about the definition of family? 12. What is the significance of Tyrone's great-grandmother's prediction for his future? In what ways does the prediction come true? 13. We know Gracie becomes obsessed with closing the circle of her story with Ed. Where else do you see circles at play in the novel? 14. "They have been raised up to believe anything of God, to believe He can say your time is out no matter who loves you or how much." What role does faith play in the Riley family? To what extent does it play an important role for the Hollaman family? 15. Sister Reba and Gracie both feel "called" to make some of the same decisions. They both leave their families for a different, nontraditional life, a life with a focus they believe is defined by something beyond their own desires, even by God. They both retreat to the woods at times. Can you think of other common ground shared by Reba and Gracie? Why are these similarities viewed differently from one character to the other? 16. On a larger scale, how do you interpret the issues of faith and fate in the novel? Of miracles and coincidence? Of the thin gray line between a passionate, inspired calling and bona fide illness? 17. Why is food so important in Sufficient Grace? What does cooking represent to Mattie Riley? What does it symbolize for Ed Hollaman? What significance does it hold for the time frame of the novel? How does Sister Reba's sermon on leftovers apply throughout the book? How did the sensory descriptions of cooking and eating in Sufficient Grace affect your reading experience? 18. How did you interpret the title of the novel? In what way does the religious concept sufficient grace relate to events in the book? 19. Which character(s) in Sufficient Grace did you most identify with and why? Who is your favorite character and why? Do you think that there is a single "hero" or "heroine" in this novel? Why or why not? DARNELL ARNOULT was born and raised in Henry County, Virginia. She lived for twenty years in Chapel Hill and Durham, North Carolina, where she received a BA in American Studies from the University of North Carolina at Chapel Hill and an MA in English and Creative Writing from North Carolina State University and worked at the Center for Documentary Studies at Duke University. 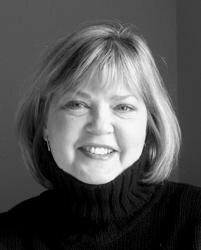 She is also the author of What Travels With Us: Poems, published by Louisiana State University Press and winner of the Appalachian Studies Association's Weatherford Award. Her fiction and poetry have been published in a variety of journals, and she has taught creative writing to adults for over fifteen years. She and her husband live on a small farm near Nashville, Tennessee.